The competition among telcos is real guys and Airtel Nigeria is pushing her way through by offering all her subscribers a Free 1GB weekend plan. If you are reading this, you are right on time as a few hours away from grabbing this Airtel bonus offer. 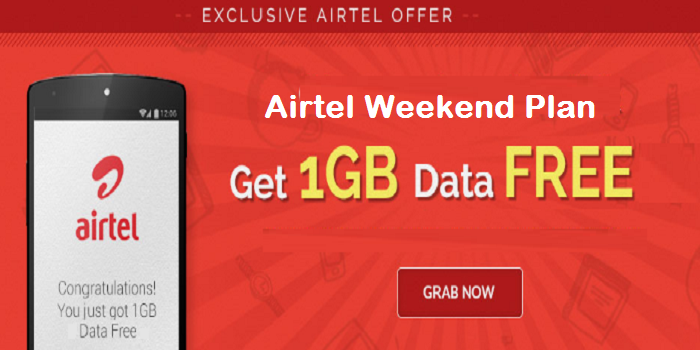 Airtel weekend plans have evolved over the years. Sometime in April last year, they introduced a weekend plan of 1GB for ₦100. This was later repackaged as 7GB for ₦700 – not that there was much difference anyways. In January this year, Airtel repackaged it by offering 250MB for ₦200 plus and extra 30minutes unlimited free. Those who have multiple Airtel sim will be at an advantage. All they need do is activate this free 1GB offer on their sims and get more data for browsing/downloads. Remember that no airtime is required, as it is absolutely free of charge. Meanwhile, Tweakware VPN has received a fresh update to v5.6 and this time, it comes packaged with updated tweaks for free browsing on Glo and Etisalat networks. Usually, to check for Airtel data balance you need to dial *140#. Have you tried that?